Ipswich Riverwalk Mural, Start location: In 2005 EBSCO Publishing commissioned artist Alan Pearsall to paint a 2,700-square-foot mural on one of the old mill buildings as part of the new Riverwalk. Alan based the mural on the history of Ipswich from the time of its settling to the current day. Richard Saltonstall set up the first mill here in 1635 to grind grain, and later the Peatfield brothers began operations with their new lace machine. In 1868 Amos A. Lawrence established the Ipswich Hosiery Mills in these very buildings, developing the largest stocking industry in the country. During the 1913 Ipswich Mills labor strike a Greek girl was killed and striking workers were evicted from their mill homes. Failing to modernize and keep up with fashion trends, the mills closed in 1928. The mill buildings later housed Sylvania’s fluorescent lighting plant and are where the company manufactured proximity fuses for WWII bombs. The buildings are now the home of EBSCO Publishing, which provides electronic databases to colleges, libraries, medical institutions and corporations. Upper Falls and Dam: Before dams were built here, there was a natural waterfall referred to as the Upper Falls which marked the head of the tide. Millions of herring, shad, salmon and alewife swam upstream each year to their spawning grounds. In 1674 Nathaniel Rust and Samuel Hunt were granted permission to set up a “weir,” stone walls that funneled fish into cages. This third dam on this site was built in 1880 to power the mills that produced Ipswich lace and hosiery. Ipswich Riverwalk Footbridge: The river bank from the mill dam to where the Choate bridge stands today was marshy past Blacksmith Samuel Ordway’s shop, so early settlers forded the river here, and later the first of several foot bridges was built. A plaque tells the story of the mills, and a planter at the end of this bridge honors Faith Lamb Bryan, wife of the founder of the Quebec Labrador Foundation Atlantic Center for the Environment and a long-time member of the Ipswich Historical Commission. The Philomen Dean house, 59 South Main is on the right after crossing the footbridge. Philemon Dean was a constable of Ipswich who served under Maj. Samuel Appleton in King Philips War. He died in 1716 long after the death of his wife and one of his twin sons. This house was built by his surviving son Philemon Dean Jr. The house was sold in 1827 by auction to Theodore Andrews, a lace manufacturer and became known as the “Lace Factory.” A wing that was on the north side housed the lace machines. The Samuel Dutch house, 69 South Main Street: In 1723 Samuel Dutch built this house and purchased a 2/3 interest in Nathaniel Saltonstall’s saw mill standing on the south side of the river, plus 2/3 of the dam. Use of the river’s water was conditional, limited to “when the water runs over any part of the dam in said river.” In 1742 he sold his house, twenty-four rods of land and the sawmill to John Treadwell, who continued the mill operation. The rear wing has a chamfered summer beam, suggesting that it was an older house. The Heard house is a Federal-era structure built in 1795 by wealthy John Heard. Before the Revolutionary War he had invested in the rum factory on Turkey Shore Road along the river bank where they unloaded barrels of West Indies molasses. His son Augustine Heard owned clipper ships and competed with captains from Salem and Boston in the China trade. Augustine Heard retired to Ipswich and started the Ipswich Manufacturing Company in 1828 with Joseph Farley, building a new dam and the Old Stone Mill. The Heard house was purchased in 1936 by the Ipswich Historical Society and houses the Ipswich Museum. A small park sits in the foundation of the Old South Church which burned in 1977. Near this spot in the 1630’s lived Nathaniel Ward, the minister of the church at Meetinghouse Green for three years. He wrote a code of laws for the colony known as “The Body of Liberties” which contained seeds of the Declaration of Independence. The miller Richard Saltonstall Jr. was also a nearby resident. An important citizen of the town, he denounced the “heinous act” of stealing blacks as slaves from their homelands as contrary to the law of God and Country. The Alexander Knight House is a re-creation of an early English-style timber frame house from 1657 as described in Ipswich town records. Alexander Knight and his wife arrived fairly wealthy but their lives took several bad turns including the death of a child in a fire. By 1656 he was indigent, working as an indentured servant. The town took mercy and voted to provide him a piece of land. This exhibit was built with traditional tools, materials and construction methods of the First Period complete with a stone foundation, timber frame, wattle and daub chimney, water-sawn white oak boards and thatched roof. Jowled posts, girts, and braces were fitted to form an end wall., after which plates, studs, joists, principal rafters and purlins were pegged in place to complete the frame. 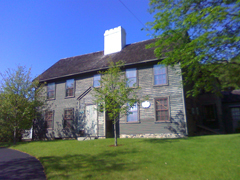 The Whipple house is a National Historic Landmark owned by the Ipswich museum. and is one of the finest examples of “first period” American architecture (1625-1725). The oldest part of the house dates to 1677 when the military officer and entrepreneur Captain John Whipple constructed a townhouse near the center of Ipswich. The elder John’s son, Captain John Whipple doubled the size of the house. It has the original frame, large fireplaces, summer beams, wide board floors, and gun-stock posts. Originally at the corner of Market Street and Saltonstall Street, the Ipswich Historical Society saved the house from destruction, restored it, and then moved it over the Choate Bridge to its present location in 1927. Tours of the Whipple House are available by inquiring at the Heard House. The South Green dates from 1686 when the town voted that the area be held in common. Cattle were gathered here to be driven to outlying common pastures. It was first known as the School House Green; the Grammar School building was at the corner of Poplar and County Roads. The 17th century houses of Nathaniel Ward, schoolmaster Ezekiel Cheever, Reverend John and Nathaniel Rogers and Richard Saltonstall are gone but the Green still retains its historic appearance and is surrounded by Second Period homes. The Jimmy Appleton memorial at the head of South Green was erected by Francis Appleton in honor of his son who died of leukemia at the age of 16 in 1915. From the time that Samuel Appleton arrived with his family in Ipswich in 1635 a long lineage of family members have served the town. Samuel Appleton the senior was granted land at what is now Appleton Farms on Bay Road, open to the public under the Trustees of Reservations. His son Samuel Appleton commanded a 100-man company in the “King Philip’s War” against the brutal renegade Indian chief Metacomet. Captain John and Major Samuel Appleton were arrested and held in Boston jails for their opposition to edicts by Governor Andros infringing liberties and creating new taxes. The house at 3 South Village Green was built in 1776 by Aaron Smith, a clockmaker who apprenticed to Richard Manning, an early pioneer in the trade. Aaron Smith was engaged in metal-working before the American Revolution and was therefore prevented from joining the battle at Bunker Hill, since his services were needed for the manufacture of bayonets. Several generations of the family continued in the clock-making trade in Salem. These collectors items are now valued at $10,000 and higher. Col. John Baker house, 7 Village Green: Col. John Baker built this substantial house on the South Green in 1761 on land originally given to Nathaniel Rogers, the second minister in Ipswich. Baker took an active part in the leadership of the town as a justice of the Sessions Court and a Feoffee of the Grammar School. Col. Baker’s Regiment marched to the battle of Lexington in 1775. The house features original Georgian paneling and has a preservation agreement with the Ipswich Historical Commission. Lucretia Brown, who lived in this house, was a follower of Mary Baker Eddy and in 1875 filed the last witchcraft suit in the United States. The Gables is a fascinating Gothic Revival house behind the John Baker house. It was designed by mathematician David Baker in 1846 as an upscale lodging for lawyers in town for the Ipswich court. He was unable to repay the money he borrowed from the Heard family, who took possession and kept it in the family through the early 20th century. Nellie Huckins purchased it from the Heards, and ran the Gables Tea Room from this house. The Old South Cemetery is between the South Green and the Ipswich River. A walking trail extends down the slope to the river and continues downstream to Sally’s Pond near the Whipple House. The cemetery was used from 1756 until 1939. In the late 1790’s Dr. John Manning sold land to the town for the purpose of widening the road for the convenience of the public; eighty-eight square rods to enlarge the cemetery; and “from a desire of accommodating the Town with a more convenient training field,” gave the land now known as the South Green for the nominal sum of five shillings. Adult men in the 17th and 18th Centuries reported monthly to the Green for military training. The Rogers-Brown House is at 83 County Road. Formerly known the Nathaniel Rust House, it is believed to be three houses joined together, at least one dating to the 17th Century. Formerly located at the head of the South Green, in 1836 the house and lot were conveyed to the South Parish as a church site. Asa Brown bought the house and removed it to its present location in 1837. The rear of the structure may be the home of Nathaniel Rust, a tanner and glover whose tanning establishment stood on this location. Bay Road (Rt. 1A) continues to Hamilton, (“the Hamlet”) and Essex Road (Rt. 133) goes to Essex (formerly called “Chebacco”), both originally part of Ipswich. In November 1639, the General Court in Boston ordered that the first official road be laid out from Boston to Portsmouth. Bay Road was to be constructed by each town along the way and milestones carved in stone were installed to indicated distances. The route went through Ipswich, making it an important stagecoach stop along the way. The Brown-Burnham house at 86 County Road was built in 1775 on Candlewood Rd. by Thomas Burnham. Nathan Brown bought the house from Oliver Appleton, and in 1824 he removed it to its present site on County Rd. Brown and others enlarged and remodeled the old Burnham House, but some 18th century features remain, including the chimneys. The portico and corbels are an Italianate modification. At 84 County Road is the Rev. Moses Welch house, built in 1829. The house was used as a joint residence by Rev. Moses Welch, who assumed the pastorate of Linebrook Church in 1831, and the Rev. Daniel Fitz, who assumed the pastorate of the nearby South Church in 1827 upon the death of the Rev. Joseph Dana. The bay windows on the front facade are a Victorian addition. At 82 County Road is the Mary Brown – Judith Manning house. The widow Judith Manning and single woman Mary Brown had the house built for them in 1835. It remained in the family until the late 19th century. The solid fan over the front door is a variation on the fan-shaped windows of Federal-era homes. Samuel Wade, a housewright, built the house at 78 County Road in 1831. In the Twentieth Century, the house became the Southside Nursing Home. It was restored as a private residence by the Marchand family in the 1960’s. The addition of bay windows became popular in New England in the late Victorian era. 76 County Road was the home of Asa Wade. Asa Wade, original owner of the South Side Store, bought this property in 1831 and built the house. The front of the house is similar in structure and original Greek Revival features to the house at 78 , which was built by Samuel Wade, who may have built both houses. Argilla Road was named for the clay that is found along the base of Heartbreak Hill. In the early 20th Century, outer Argilla Road became the exclusive domain of Boston’s elite. Sidney Shurcliff’s book “On the Road Argilla” tells about his summers there as a child. At the end of Argilla Road is Crane Castle and Crane Beach, properties of the Trustees of Reservations. Photographer George Dexter built the house at 15 Argilla Road in 1893. Dexter’s photographs and postcards are a source for many of the images on this site. The house has many Queen Anne features incorporated into the design, including various shingle types, asymmetrical massing, an offset bay with a pyramidal cap and finial, and a Palladian window. wattle walls has been well-preserved and has several unique building techniques similar to those used in Norfolk, England during that period. The Calvin Locke House at #68 was built in 1836. The size of the house and the tall Greek columns were designed to match the Second Church at the top of the Green, no longer standing. The cost exceeded his resources such that the house came to be known as “Locke’s Folly.” Locke was an overseer in Augustine Heard’s lace factory, the Ipswich Manufacturing Company, incorporated in 1828, but due to financial difficulties was sold to Dane Manufacturing in 1846. The Swasey Tavern, 2 Poplar Street was operated by Major Joseph Swasey. A house and its use as an inn are recorded as early as 1693. President George Washington spoke to the people of Ipswich from these steps while touring New England. Swasey sold the inn to John Heard, and it became a dormitory for students at the Ipswich Female Seminary. The Tavern was originally a three-storied hip-roofed mansion, but in the 19th century it was remodeled with a mansard roof. Swasey was the town clerk and fell dead during Town meeting on April 1, 1816. *The short tour continues on County Street and the extended tour briefly turns left on Poplar Street, then reverses. At 5 Poplar Street, the John Calef house was built in 1688 by Deacon Thomas Knowlton on South Main St, and was moved by John Heard who built his mansion at its original location. Dr. John Calef was a surgeon in the “Old French War” and the representative from Ipswich to the General Court. When he voted against the town’s wishes to oppose the Townshend Act creating taxes on tea and other items, an angry mob gathered around his house demanding a show of loyalty to the town. After the war Calef and his family fled to a loyalist community in St. John, New Brunswick, where he worked as surgeon to the British garrison. The Heard – Lakeman house at 2 Turkey Shore Road is one of the original 14 houses with Historical Commission covenants. Nathaniel and John Heard bought this land in 1776 and built the present house. Nathaniel sold the house to Richard Lakeman III in 1795. The house features original raised-field paneling, a Georgian stairway with a turned balustrade, and a massive arched chimney base. Many generations of the Lakeman family owned and operated sailing vessels from Ipswich and nearby ports. The Burnham-Patch house at 1 Turkey Shore Road has one of the original covenants established with the Ipswich Historical Commission. The house was built in 1730 on the foundation of an earlier house built by Thomas Burnham in 1667. Heavy chamfered beams in the cellar were reused from the earlier structure. Burnham was one of three brothers who came to Ipswich in 1635 from England after being wrecked on the coast of Maine. He built a sawmill, was a town selectman, served as Deputy to the General Court from 1683-85, and died in June, 1694. The large ell on Poplar Street was added in the early nineteenth-century. Abner Day bought the house from the heirs of John Patch in 1814 and kept a well-known tavern from 1825 to 1847. The extended tour reverses and takes a right on County Street to rejoin the short tour. For 200 years the timber frame Choate – Dodge house stood near the corner of Elm and County Streets, now a police station parking lot. In 1963 the town planned to demolish the empty house and replace it with a transformer station. Members of the Ipswich Historical Society saved it from the bulldozer on the day it was scheduled for demolition. The house was dismantled, trucked to Washington and became the centerpiece of “Within These Walls” at the Smithsonian’s National Museum of American History. The Benjamin Grant house, 47 County Street was built in 1735. The asymmetrical 5-bay façade is typical of earlier Colonial half-houses that have been doubled. Benjamin Grant was born in 1701 in Ipswich to Robert and Mary Grant, who emigrated from England. He married Anne Perkins in 1722, and was killed in the French and Indian War in 1756. Joseph Ross bought the house in 1784, and it remained in his family until the mid-20th century. The house has a preservation agreement with the Ipswich Historical Commission. Sawmill Point: This was the site of a fulling mill built by John Whipple in 1673. The spit of land between the sluiceway and the bridge is called Falls Island. In 1861 the County Street bridge was built linking the South Green area and the East End. A lumber mill, two wheelwright shops and a blacksmith shop were all built at Sawmill Point during this era. Canney Lumber burned at this location and moved to Brown Square where it burned again. A large woolen mill was constructed on the north side of the bridge. Turn right on the Sidney Shurcliff Riverwalk just after crossing the County Street Bridge. Sidney Shurcliff was a noted landscape architect who spent his summers on Argilla Road. The terranes that make up the eastern half of Massachusetts were volcanic island chains that broke off of Gondwana and collided with Laurentia between 550 and 370 million years ago. Ipswich and Cape Ann are in the Avalon Terrane. 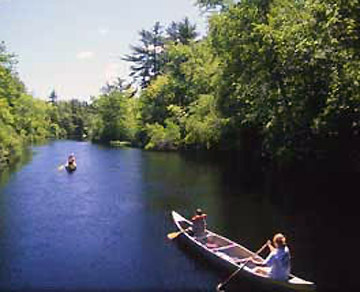 15,000 years ago when the most recent glaciation had receded into southwest Maine, the drumlins, eskers and moraines left by the glacier carved the path of the Ipswich River, which makes several sharp turns around the ancient granite at the foot of Town Hill. The Ipswich River and the East End Historic District: When settlers arrived in the 1630’s, rudimentary shelters were quickly constructed between Town Hill and what is now Town Wharf. Wharves and warehouses were built along the riverbank. Water Street was the site of a customs house, pottery manufacturing, and an ancient tannery. By 1676 ship-building was an extensive industry. The River from Great Cove and Falls Island was the town’s commercial hub. Clapboard, masts, timbers for houses, and fish were shipped to foreign ports. As ships got larger in the late 18th Century they could no longer use Ipswich as a port and the town fell into harder times. On the hillside to your left at the end of the trail is a rectangular brick building that served the Essex County Jail and later the Ipswich middle school. Whipple Riverview Place now provides Senior housing. The building has a 3000 square foot “green roof” thriving with sedum, talinum, chives and other species of drought-resistant flowering plants. A plaque in front of the Town Hall next door notes that this is the site of an eight- acre village of the Agawam people, who fished here in the summers but retreated to the relative safety of their lodges in the woods for the winter. The Ipswich Town Hall on Green Street was built in 1936 as a high School. Neoclassical became a dominant style for public buildings nationwide in the 1930’s, inspired by the Beaux-Arts style and featuring classical symmetry, full height porches with columns and a temple front, and elaborate classical decorative ornaments such as dentil cornices. The Ipswich jail was at this site for a century, demolished in 1929 during the Great Depression, giving 130 men temporary work. Bronze plaques inside the vestibule dedicate the building to the memory of the veterans of World War I. At the end of the Sidney Shurcliff Riverwalk path turn right over the stone arch Green Street bridge. Construction of the Green Street bridge in the 19th Century created a more direct connection from the East End to the South Green area and brought a resurgence of home building on Turkey Shore. The origin of the name Turkey Shore is unknown. The Emerson – Howard house at 41 Turkey Shore Road is on land originally owned by Thomas Emerson (an ancestor of Ralph Waldo Emerson) but the first section of the house was built in 1679 by William Howard, a hatter. In his will he deeded the old half of the house to his wife and the new half to his son William. Ipswich artist Arthur Wesley Dow (1857 – 1922) restored the house to prevent it from being demolished and used it as a summer art school from 1891 – 1907. The house has post-medieval post and beam framing. Two nearly identical homes at 43 and 51 Turkey Shore Road are built in the Bungalow Porch Style, an eastern adaptation out of California’s Arts and Crafts movement. The expansive front porch opens the living room to the yard, forming a connection between the home and a view of the river. Prominent round columns and wide window casings on the porch make it an architectural transition to the outdoors. In New England many such porches were eventually enclosed. The Austin Measures house at 49 Turkey Shore Road was built in 1874. The low-pitched roof, window hoods and corbels supporting the flat roof portico are of Italianate influence. Austin Measures owned a popular candy store on Central Street in the early 20th Century. Between 1850 and 1870 Isaac Foss built the elegant Gothic Revival Victorian house at 63 Turkey Shore Road. The steep front gables on this home show the influence of a romantic movement in architecture inspired by medieval design, a departure from the classical Federal and Greek Revival styles popular earlier in the century. The vertical wooden decorative pieces are indicative of the “stick” style of Victorian architecture. At 59 Turkey Shore Road is a Victorian home, built by Otis Glover before 1856. The “Stick Style” was briefly popular on houses with balloon framing, applying plain trim boards to soffits, aprons, and other decorative features. Stick-style architecture is recognizable by the relatively plain layout often accented with decorative gables and shingles. Cogswell moved to Stratham, NH where he made a name for himself as a vocal supporter of the American revolution. Previous owners say that the house at 2 Labor in Vain Road was built by a sea captain, and it is haunted. The first owner of record is Elizabeth McMahon, daughter of Elizabeth Appleton and Thomas McMahon. She sold the house to James Galbraith in 1864. The owner on the 1910 Ipswich map is Henry Perry Willcomb. The style of construction is typical of the Greek Revival era, while the wrap-around front porch is generally found in the later half of the 19th Century. 30 Green Street: This is the site of the home of Emma Jane Safford whose mother Emma Mitchell moved here from a Middleboro reservation. Mitchell was a descendant of Wampanoag chief Massasoit who ruled all the land between Cape Cod and Narragansett Bay and formed an alliance with the Pilgrims. Massasoit’s son Metacom, known as King Philip fought a bloody war with the Colonists. Emma Safford’s father was Jacob Safford, the son of former black slaves. She lived her entire life in Ipswich and died in 1958. 4 Water Street, the Jewett house was built in 1849 from lumber taken from the old Meeting House of the First Church when it was torn down. The Fourth sanctuary of First Church in Ipswich was built in 1749 and served the community until 1846. The house is characteristic of the modest Colonial Revival style in our area with an extended boxed eave, 3 bay symmetrical windows and a door with entablature portico, pediment and pilasters on either side. 6 Water Street, The Preston-Foster house: This lot was sold to Reginald Foster in 1655, and the existing house was built about 1690. It has a typical first-period floor plan in the original front structure, and in the right half are two massive quarter-round chamfered summer beams. The sharp-pitched roof and purlins add additional evidence of the early date. The Foster family acquired property on Summer Street where they built two other First Period homes. The Harris – Sutton house, 8 Water St: This house is on the site of an early shipyard owned by Moses Pengry. The eastern part of the house dates to 1677 while the western section was constructed in 1715 by Abner Harris. It was sold to Ebenezer Sutton. This First Period house received the 2012 Mary Conley Award after an extensive 2 1/2 year project that required completely rebuilding the post and beam framework. The James Foster house at 46 Summer Street was built in 1720. The roof line shows that it was a half- house, later doubled in size and remodeled to appear Georgian, with two chimneys, dormers and a symmetrical front. Foster bought this former orchard land from Nathaniel Clark who moved to Newbury. Joseph Foster of this family was the town’s first postmaster. The Willcomb – Pinder house at 43 Summer Street is on the left. The interior of the home features hand-hewn summer beams, wide plank flooring and the original fireplaces. On Jeffreys Neck William Willcomb operated a fishing stage, a small building and platform for salting and drying fish. He built this house in 1717. The next owner, William Benjamin Pinder was a corporal with Col. Appleton’s company in the ill-fated 1756 expedition against the French at Louisburg, Nova Scotia during the French and Indian War. Recent restoration unveiled a hidden plaster cove cornice. James Foster built the Foster – Grant house at 39 Summer Street in 1717 and conveyed it to William Foster in 1747. Inside this well-preserved house are the original summer beams, exposed floor joists, gunstock corner posts, early period pine floors, stairs and railings. The widow Rebecca Sutton and Abigail Foster, singlewoman conveyed the house to Ephraim Grant in 1826. On the right side of the street are a number of charming smaller houses built in the late 19th Century. wall cape,” a style that became popular in the early 19th Century. It features a balanced facade, centered door with entablature and corner pilasters, dental molding and elaborate cornice returns. The house at 31 Summer Street was built in 1870. Ezekiel Bartlett sold this property to Frederick Willcomb in 1872. Although the house has a typical Georgian facade, the decorative brackets under the soffits and porch roof are Italianate, indicating mid-19th-century construction. Across the intersection at 9 County St. is the Benjamin Dutch house, built early in the 1700’s. Benjamin Dutch, occupation Tavernier, was also a real estate dealer. He and several Ipswich men participated in the Land Bank Scheme of 1740, which issued 50,000 pounds of notes without legal authorization. Parliament outlawed the banks and the Massachusetts courts levied an assessment against shareholders to settle the case. * Turn right on County Street. Toward the end of the tour you will have the opportunity to visit upper Summer Street and the section of County Street that is to your left. The 1740 Dennis-Dodge house was owned by Captain John Dennis, whose father Thomas Dennis was a renowned woodworker and owned a home across the street. Note the similarity to the Abraham Knowlton house nearby. This house continued in the Dennis family for many years. In the early 1800’s, Eunice Hale maintained a school in the building. Captain Ignatius Dodge (1816– 1901) inherited the house. symmetrical 5-bay front section of the Thomas Dennis house at 7 County Street dates to the 1750s, while the rear ell is Dennis’ 17th century home. In England, Dennis had apprenticed in joinery and when he arrived in 1663 he set up shop in town. Thomas Dennis was a master woodworker. He died in 1706, and his ornate carved cabinets now sell for over $10,000. Richard Ringe built the house at 5 County Street in 1718. It was inherited by his son Richard, who sold it to John Pinder. Pinder’s widow Sarah sold the house to William Leatherland in 1799. Phillip Clark bought the house, which is where he served as an undertaker and operated a cabinet shop. Phillip E. Clark expanded the funeral business and operated from a house on Summer Street. In the 19th Century this was a shoe manufacturing shop owned by Ignatius Dodge. Stephen Stanwood erected the house at 25 East Street in 1830 for a fulling mill, a cleaning process for wool from the sheep grazing on Town Hill and Little Neck. The mill used water from a spring, and as a condition for allowing the town to pipe water across his land, Wilcomb’s house became the first with running water. In later years the building was a store and the residence of Lewis E. Willcomb. At the corner of East and Spring Streets is the Francis Jordan house. This lot was owned in 1648 by Francis Jordan, the town-whipper. Ironically the location was occupied in 1655 by Jeffrey Skelling, a man of questionable character who tasted the lash more than once. John Potter purchased the lot in 1708 with all the buildings, including the “old house, new out-houses, etc. and is believed to have built this house. The steep gable and small windows in the front are 20th Century alterations draw from post-medieval English architecture. * The short version of the tour turns left and the extended tour continues right on East Street. The simple but charming small house at 33 East Street was built in 1830 and is known as the Old Store. Its original location was near the corner of East and County Streets, built for use as a store by James Quimby. It was moved to this location in 1850 by Joseph Wait. The Luther Wait House, 35 East Street: This small yellow house was built about 1810 and was once the Essex County jailer’s house. It was moved to this location and is better known as the home of Luther Wait. He was appointed postmaster in 1890 but relinquished the position in 1894 and joined tens of thousands in northwestern Canada looking to strike it rich during the Klondike Gold Rush. He returned to town, probably empty-handed, and resumed his appointment as postmaster from 1902 – 1914.
opening a way to the river, and constructed a wharf at the end of the lane. The John Harris House at 38 East Street was built in 1742. The first of the Harris family in Ipswich was Thomas who had duty of transporting accused witches to Salem for trial. He had a son also named John Harris who was apparently the builder of this house. The Joseph Hovey house at 42 East Street is on an ancient lot that was granted to Lionel Chute, the town’s first schoolmaster, in 1639. In 1692 it came into the possession of John Wainwright, one of the most important men of his day. Joseph Hovey purchased the lot in 1820. His daughter, the widow of John Roberts next door, inherited the lot and may have built this house in 1847. The Roberts house at 44 East Street was built in 1856 and has Italianate Period influence. John Roberts married Mary Elizabeth Hovey, and the house stayed in the Hovey family for years. Although hardly recognizable, the house at 55 East Street is said to have been moved from Lords Square where it was the front section of Asa Lord’s store. Asa Lord’s market opened in 1826 and served as a de facto neighborhood community center, where people would sit out front and chat. Lord’s Store closed in 1930, with goods dating back to before the Civil War. The Ipswich River Provisions is on the right before reaching the Town Wharf. The small lot fronting on East Street was sold to Daniel Ringe, Oct. 16, 1719 and he built this house at 59 East St. Ringe sold to John Holland, Nov. 6, 1742. Daniel Ringe was an early settler of Ipswich, and as a young man worked as a cow-herd. Captain Ringe was a soldier in the Indian wars and became a prominent citizen of Ipswich. Ringe died in 1739, leaving his wife a widow. It was bought by John Holland in 1742. There were several men by the name of Daniel Ringe in Ipswich history. The single-room-deep form evolved from traditional 17th century British central-passage folk houses. The Capt. John Wainwright – Treadwell House at 62 East Street has raised-field paneling and a hand-turned balustrade, and is protected by a preservation agreement. Thomas Treadwell arrived in New England in 1635 with his wife and infant son Thomas. His will in 1671 bequeathed to the junior Thomas his property on “Treadwell’s Island.” To his son Nathaniel he gave half of his “upland house” and the other half to his wife, as well as “the benefit of the keeping of four Cows and six sheep plus the firewood from the pasture.” Nathaniel Treadwell sold the property to John, son of Col. John Wainwright who built this house in 1727. The Ipswich Town Wharf: In March 1633 John Winthrop Jr. the Governor’s eldest son led an expedition to the Indian village of Agawam. Ninety percent of the native population had been decimated by a plague. The settlers’ first houses were “wigwams, huts and hovels” built against this hillside. The wharf became the site of extensive shipping in the first two centuries. In the late 19th and early 20th Centuries the ship Carlotta carried passengers to and from the Necks. The river lapped East Street until the early 20th Century when the parking lot was filled in. Today the wharf is used for recreational boating. At the corner with Jeffreys Neck Road is the Perkins-Hodgkins House, 80 East Street. The timber frame original structure was built in 1709, and has been greatly expanded in recent years. Notable are the cellar joists, which are laid sideways instead of with the long side up, a construction style found in the early 1600′s. The book 1776: The Illustrated Edition tells an intriguing story about Lieutenant Joseph Hodgkins whose wrote letters home to his wife, Sarah Perkins Hodgkins during the revolutionary war. This house is protected by a preservation agreement with the Ipswich Historical Commission. Beyond is Jeffreys Neck Road, named for William Jeffreys who was already living on the Neck when John Winthrop Jr. and the colonists arrived in 1632. Not a Puritan, he was ordered to leave and compensated for his land. Although not on this walking tour, the following three houses on Jeffreys Neck Road are notable. The 1694 Paine House at Greenwood Farm on Jeffreys Neck Road is now a Trustees of Reservations property. This saltbox is an outstanding First Period (1620–1725) home which housed three generations of the Paine family including Robert Paine, a former minister and later the foreman of the 1692 Grand Jury that brought indictments in the Salem witch trials. From 1916, Greenwood Farm was a summer retreat for the Robert G. Dodge family. When floor boards were removed in the rear of the building, a cellar was discovered which served as a milk room. The Ross Tavern is now located at Strawberry Hill (also called the Wendell Estate) on Jeffreys Neck Road, across from Greenwood Farm. The structure was built in 1690 in downtown Ipswich and moved in 1735 to the south-east side of the Choate Bridge where it served as a tavern, store and boarding house. It was greatly enlarged over the years. In 1940 it was disassembled and the original First Period frame was restored and rebuilt at its present location. The Captain John Smith house at 68 Jeffreys Neck Road was built in 1740. Captain Smith was a wealthy man, owned several ships, and saw service in King Philip’s War and Queen Ann’s War. This is the home of nature writers Bill Sargent and Kristina Lindborg. Across the harbor from Town Wharf at 8 Agawam Street is the Martha Newmarch – Hannah Spiller house, built in 1800. This house originally belonged to Zacheus Newmarch and was bequeathed by his granddaughter Martha Newmarch “singlewoman” to Hannah Spiller, daughter of her late sister Hannah Newmarch. Just beyond this house, on Spiller’s Lane, was the home of Thomas Hardy who arrived as an indentured servant but soon gained his freedom. His was reportedly the first frame house, and the first well to be built in Ipswich. The well still exists was but filled in a few decades ago by the owner. Captain Samuel York built the large hip-roof house at 36 Water Street in 1715 after selling two smaller lots on East Street. The 2 story, L-plan house has a nearly symmetrical 5 bay facade. The interior and exterior reflect a long progression of 18th and 19th century alteration. The house became the property of Benjamin Averill in 1793 and continued in the family for many years. The Harris – Stanwood house at 28 Water Street was built in 1696 by John Harris and passed on to his descendant Thomas Harris. It was purchased by John Stanwood in 1809. The house was expanded in the 19th and 20th centuries, including the side addition with a bay window facing Water Street. Ornamental gardens grace the yard. * Turn right on Hovey Street. The John Kendrick House at 3 Hovey Street was the winner of the 2002 Mary P. Conley preservation award. Built in 1665, it is protected by a preservation agreement between the owners and the Ipswich Historical Commission. Protected elements include all front and side exterior features of the building, chimney, central frame and roof including primary and secondary members, wooden architectural elements including doors, paneling, molding, stairs, windows and frames, and other early detail of the 17th century house and its 18th century additions. * Turn left from Hovey Street on East Street and retrace your steps to the corner with County Road. * The short and extended tours continue on East Street in the direction of High Street. Staniford-Polly Dole-Updike house: This house was standing by 1720 and has elements from a previous house built in 1686. It has a large front living room with a low ceiling, wide board floors and a “walk-in” fireplace. The left side is smaller than the right, suggesting that it may have been originally been the “half house” built for Deacon John Staniford (1648-1730) and his wife Margareet. It came into the possession of two women, Polly Dole and Lucy Fuller. John Updike lived in the house in the 1960’s. Moses A. Fellows and Sarah G. Hodgkins purchased the lot at 22 East Street with a house in 1873, and are believed to have built this house shortly thereafter. The assessors site gives a date of 1790, and an examination of the framing should resolve the confusion. Fellows owned a lumber yard on Water Street and at 80 years old, he retired as a farmer. This house has Italianate features, including the architraves over the windows. The Dodge house at 18 East Street is an early 2nd period home, built in 1725. This house is protected by a preservation agreement between the owners and the Ipswich Historical Commission. Protected elements include the front and side facades including the Beverly jog, center brick chimney and original fabric of the four fireplaces, wide board pine floors, and major members of the frame. Three small 19th Century houses on the south side of East Street once hosted small businesses. The house at #13 was the “Ignatius Dodge Shoe Shop.” The house at #15 East Street was apparently moved from across the street at the intersection with North Main. In the 1872 map it is shown as “Dawson Bakery.” The first known owner the house at 21 East Street was George Russell, (1823-1884) a mason. The Lakeman – Johnson house, 16 East Street: Built about 1835, this is a good example of Ipswich’s typically conservative response to Greek Revival architecture, resembling a traditional 2 story, end gable wood frame house. It has an Asher Benjamin derived door frame at the center of its symmetrical 5 bay façade. The house has a preservation agreement with Historic New England. John Baker Jr. inherited the lot at 14 East Street from his father in 1727, and probably built the house that year. In 1756 the house was purchased by George Newman Jr., a weaver. This house is protected by a preservation covenant between the owners and the Ipswich Historical Commission. Protected elements include front and side facades, the Beverly jog, window frames and front door, wide pine board floors and major frame members. The Nathaniel Harris house at 10 East Street was built in 1819 on a section of land from the Baker Newman property next door. Harris died at the age of 54 in 1831, but his widow Elizabeth Staniford lived into her 90’s. The house has similarities to the Lakeman house at #16 East St. The Foster Russell House, 9 East St., Samuel Hunt sold a half acre at the foot of his lot on East St. to Foster Russell and his wife Martha Hodgkins in 1856. The land on this side of the street was originally allocated to the Rev. John Norton, and came into the possession of Col. John Wainwright. The rear of the lots originally extended to Summer St.
8 East Street, the Matthew Perkins house was built around 1709 with techniques common in England during the 17th century. It has overhangs on the front and side, a rear lean-to, an elaborate central pilastered chimney and one of the best Jacobean staircases in New England. In 1702 Captain Perkins’s company was sent to fight the French in Maine, and he commanded a larger expedition to Port Royal, Nova Scotia in 1710. In 1723 he owned a tavern “on the road to Jeffreys Neck.” This house was once believed to be the John Norton – Rev. Thomas Cobbet house which stood nearby but was torn down between 1812 and 1818. This was also the birthplace of Ipswich artist Arthur Wesley Dow in 1861. The Sadie Stockwell house at 7 East Street was built in 1888. This is one of just a few houses in Ipswich with prominent Queen Anne architecture. Such houses are typically asymmetrical with roof sections of different pitch, turrets and bays with a minimum of trim, and shingles wrapping the house, painted in bold colors. Ornamental corbels (brackets) provide support for the steep overhangs. 6 East Street, the Daniel Russell house was built in 1818 on the site of the former John Norton – Rev. Thomas Cobbet house, and is said to have the old well from the original house in the cellar. The Rev. John Norton was the teacher of First Church in 1638, succeeded by the Rev. Thomas Cobbet the last Oxford-educated minister in Ipswich. Inn. A close look at the building reveals that the original structure was almost identical to 6 East Street on the right, with similar chimneys in the same location. The house was greatly altered with Victorian flourishes, including the transom over the doorway, pilasters, corbels and bay windows. Both houses have additions on the rear. The 1750 Cordwainer’s shop on the south side of East Street has a frame saved from a building on the Ipswich River. It was moved to the Day-Dodge house property by the late historic house remodeler James Whidden. The exterior is entirely clad in white oak, the choice wood of early builders. A cordwainer is a person who makes shoes of fine leather, as opposed to a cobbler who repairs shoes. 57 North Main Street, the Day-Dodge House (1696-1737) – This unusual double house has three front entrances. The corner at North Main and East Street is the oldest section and appears to have elements of a barn constructed by Francis Wainwright at this location in 1696. The name comes from Nathaniel Day, who owned the property in 1737, and Isaac Dodge, who bought the other section of the house in 1762. The widow of Nathaniel Day married Isaac Dodge. At the head of North Main at 2 East Street is the Robert Jordan house built in 1863, a fine example of Italianate Victorian architecture. The rear of the property once featured terraced land used for orchards and the short-lived silk industry of the 1800s. Interesting architectural features of the house include the “belvedere” on the main roof, and a curved front stairway. This was the site of the haunted “Old Brick,” built by the esteemed Francis Wainwright. The Methodists built their first church at this location in 1824. * Continuing across North Main Street you enter the High Street Historic District. The tour continues on the right side and returns on the left side. The Olde Manse, 1 High Street. This 2 1/2 story, gambrel-roofed house was remodeled for the Rev. Nathaniel Rogers in 1727. The portico and extensive dormer are Colonial Revival features. The house was operated as an upscale restaurant and inn by antiques collector Joseph Burnham in the early 1900’s. It is currently known as the House of Peace and offers refuge for victims of war. The John Gaines house at 3 High Street was constructed in the early 18th century. John Gaines II and Thomas Gaines were father and son wood turners. Thomas Gaines moved to Portsmouth NH where by 1740 he owned and operated a thriving chair-making company. For many years the house served as the Episcopal rectory, and was also the home of William Oakes, a horticulturist and educator. His widow operated a boarding house here for students at the Ipswich Female Seminary. The Pillow Lace Site, 5 High Street. Ipswich was the seat of the hand-made pillow lace business, and by 1790 the annual production was 41,979 yards. This craft continued until the introduction of lace machinery around 1838. The Heard family enterprise attempted to use the new knitting machines secretly brought over from England to make lace. Mulberry bushes were planted on the hill to provide food for silkworms, but the business failed and the factory building was converted by Joseph Ross into a three-story home. The Ross Mansion was torn down in 1930. The Joseph Newman house at 9 High Street was built in 1762 by grocer Samuel Newman, who purchased the lot from the widow of Dr. Thomas Berry, a flamboyant man who rode about town in a chariot. Joseph Stockwell Manning grew up in this house and received the Congressional Medal of Honor for his actions during a battle in the Civil War. The Joseph Wilcomb house, 13 High Street was built in 1668 by John Edwards, one of several townspeople appointed to the office of Tithingman by the Selectmen and instructed “to inspect disorderly persons, and whatever else tends to irreligion.” A later owner, Captain Joseph Wilcomb was pilot of the ship SS Malay owned by Augustine Heard. Thomas Lord, a hatter and cordwainer built the house at 17 High Street in 1658 on property originally granted to his father Robert Lord and mother Hannah Day. This house shows the basic form of a First Period saltbox, with a large chimney accommodated by a massive central fireplace. The house remained in the Lord family for generations. The Georgian style Haskell – Lord house at 21 High Street was built circa 1750 by Mark Haskell, an Ipswich cabinet-maker. Daniel Lord married Eunice, the daughter of Mark Haskell. This house is said to be on the site of a home that was built by early settler Robert Lord, who was the town clerk until his death in 1683. He is said to have been short but strong and fearless, serving for over twenty years in the Indian wars. The earliest part of the Edward Brown house at 27 High Street was built in 1650, making it one of the oldest houses in New England. The asymmetrical arrangement of the windows and the location of the chimney suggest that the first modest section of the house was on the left, and that it has been greatly expanded over the years. Edward Brown married Faith Lord. The Lord – Baker house, 37 High Street, was built in 1720, and was owned by blacksmith Robert Lord, descendant of settler Robert Lord. Many early details remain including raised field paneling, a summer beam and a huge fireplace, plus a Beverly jog on one side of the 2 story home. Robert Lord made the heavy leg-irons which later were used on the victims of the witch hysteria who were sent to Ipswich to await trial and execution. The John Lummus house, 45 High Street was built in 1712 on the foundation of the previous home of Governor Thomas Dudley, who lived in the town for only 3 years. His daughter was Anne Bradstreet the first published American poet and wife of Simon Bradstreet, the last governor of the Massachusetts Bay Colony. In the 1960′s Phillip Ross won the Mary Conley historic preservation award for restoration of the house. 57 High Street, the Stone – Rust house was built in 1750 by Robert Stone and has many original features including wide pine floors. The separate barn was the blacksmith shop of William W. Rust Jr.
Two of the first to be buried at the Old North Burying Ground were the wife and child of John Winthrop, Jr. in 1634. Winthrop was the son of the governor of and leader of the colonists who founded Ipswich. Many of the earliest graves are not marked. Also here is the common grave of passengers who died when the schooner Deposit, ran aground in frigid waters at Crane Beach in 1839. Wood-Lord house, then continues in the reverse direction to North Main Street. The extended tour continues on High Street. 73 High Street, the Nathaniel Lord house was built in 1720 and took its present form in 1847. Nathaniel Lord graduated from Harvard and spent 36 years as the Register of Probate in the Ipswich Court. His sons all entered the legal profession and one followed him in the same office. Before 1652, Allan Perley built a house at this location, and some of the framing may have been reused in the basement of this house. 77 High Street, the John Kimball house. Richard Kimball owned this lot in 1637. The property passed to John Kimball, who built this house in about 1680. A “Beverly jog,” chamfered summer beam, and wide board paneling are among its many preserved features. John Kimball was a wheelwright, farmer and a carpenter who built several houses on this street. In his old age he was declared insane, from senile dementia. asymmetrical facade, indicating early construction. Despite local tradition, there is no documentation that it was once the Old Jail on Meeting House Green. 85 High Street, the Phillip and Elizabeth Lord house: This house was built about 1774 by Phillip Lord when he married the widowed Elizabeth Kimball Warner who owned the property. In 1832, the house was acquired by Benjamin Fewkes, who smuggled the first lace stocking machine into this country from England in 1818. He set up his hosiery shop in the rear of the house. lean-to over the rear rooms. The right half of the Merchant – Choate House at 103 High Street is the oldest section. A cottage was built here by William Merchant who arrived in Ipswich with the first settlers. Dendrochronology tests date the oldest timbers in this house to about 1670. The section on the left was later added by Merchant and has finer woodworking. In Colonial days, this was the edge of the town, the common land lying beyond. Town Farm Road leads to the 17th Century farm of Francis Wainwright which included 416 acres of upland and marsh. In 1753, the town granted permission to build a proper road. In 1817 the town voted to buy the farm, then owned by John Lummus and allocated $10,500 to create a town farm, where 30-40 poor people worked and were housed. By 1880 the town farm served primarily as a home for the elderly poor. The site later served as the town dump, and a nuclear power plant was proposed for the property in the 1970’s, but was defeated. The town’s two wind turbines are located on that spot. The Baker-Sutton House at 115 High Street was built in 1725 and displays late 1st period and Georgian architectural elements. An antiques business operates from the house. In the 18th century a guild of hatters all lived on High Street in Ipswich, including the original owners, Samuel Baker and Richard Sutton. *Reverse direction on the West side of High Street to continue. 110 High Street, the John Kimball Jr. house was built in 1730. The eastern half is of earlier construction. High Street originally continued past this house until the first bridge over the railroad tracks was constructed in 1906. From 1900 when the first trolleys came to town until the bridge was built, trolleys from Georgetown and Essex met here to exchange passengers. The First Period “House with Orange Shutters” at 106 High Street was owned by Caleb Kimball, brother of John Kimball. The elongated 2 story end-gable timber frame structure was built in 1715 and has a large fireplace in the left side. The orange shutters are a long-standing tradition. Water from elevated High St. caused the sills to rot. Woodwright James Whidden jacked up the house and repaired the rotted sills, posts and girts. The John Kimball house, 104 High Street was built in 1715 and is one of four Kimball houses along High Street. This First period 2 story timber frame house has an unusual elongated end gable. The large keeping room on the left has a chamfered summer beam and board paneling, while the rooms on the right are smaller, with Federal trim. The Joseph Fowler house, 100 High Street: Fowler was a carpenter and bought the lot in 1720. The plaque on the house states that it was built in 1756. A house existed on this spot before Fowler obtained it, and this house was said to have been moved from Mineral Street. The house has a gambrel roof with a central chimney, and post and beam framing with exposed “gunstock” posts. 88 High Street, the Tuttle – Lord – Shatswell house was built in 1690. In 1633 Deacon John Shatswell was granted this piece of land and built his original house near the existing one. The house remained in the family by inheritance from the time of the original grant. John Shatswell’s son Richard married his next door neighbor Simon Tuttle’s daughter Rebeckah. It was the home of Col. Nathaniel Shatswell, famous for his command of Union troops during the Battle of Harris Farm during the Civil War. 82 High Street, the John Brewer House was built in 1700. This corner was known as Brewer’s Corner before it was Lord’s Square. Being on the outskirts of town, he owned a considerable lot which he divided into sections and sold. In 1662 the town constables were ordered to pay him 20 shillings, charges he was due “about constructing the fort.” On October 2, 1683, “John Bruer” was chosen Town Clerk. The senior John Brewer and his wife Mary Whitmore had a son, John, who was a tailor and is the likely builder of this house. * Carefully cross at Lords Square. A Dunkin Donuts on the right is the only opportunity for a rest stop for the remainder of this tour. The intersection of High Street, Short Street, Central Street, Liberty Street and Linebrook Road is known as Lords Square. Asa Lord opened a store here in 1825. The business thrived, selling various merchandise including hardware, rum and spices. It was the town’s unofficial social center until its closing in 1930. The building was divided into two parts and moved, with the back ell going to Mount Pleasant Ave and the other half to East St. near the wharf. The store location is now a gas station. The Dunkin Donuts is where Captain Nathaniel Burnham operated a store. The French Canadian Marcorelle Brothers operated a store on Short Street behind Asa Lord’s store in a building constructed in 1872 which was built by Asa Lord as a barn. The building is still in use today. The empty yellow building next to Dunkin Donuts is the Old Lords Square Fire House, constructed in 1865. It served as one of the town’s three fire stations, housing engine #2, the Neptune. The building was replaced by the Central Street Fire station in 1906. Cabinetmaker Joseph Bakula purchased the building in 1930 and used it for several years as his shop. The front and side additions are of later origin. The old Payne School sits at Lords Square between Linebrook Rd. and Liberty Street. It was moved to this location when the Old Fire House was built and was last used for students in 1942. Since 1972, the building has served as the Ipswich School superintendent office. At 41 Linebrook Road is the Old Cross Farm, built in 1716 by John Cross, part of a 25-acre working farm. The house was always a multi-family home with family members in both sides of the house. The house was restored in 1999 by the Copithorne family, and the Ipswich Historical Society completed a study on the home documenting the deeds and each family that lived in the home. In 1750 Samuel Macintosh of Salem hand-carved the living room’s crown molding, wainscoting and fireplace surround. The 1640 Hart House, 51 Linebrook Road: Thomas Hart, a tanner, arrived from England with his parents in 1637 and in 1640 built a one-room starter home, gradually expanded it. He was one of the town’s first selectmen. Despite its name, the oldest parts of this building are believed to have been constructed in 1678-80 by Samuel Hart, the son of Thomas Hart. The “Keeper Room” is actually an exact replica of that original first room, which was removed and reassembled as a display in the Metropolitan Museum of Art. The John Harris – Mark Jewett House at 66 High Street was constructed in 1795 by builder John Harris. In 1784 the town poorhouse on Loney’s lane had fallen into disrepair, and John Heard convinced the town that if it would buy John Harris’ previous home at the corner of High and Manning, he would provide $400 annually for the care of the poor. The contract was so controversial that residents in the affluent Hamlet section of town succeeded in breaking away in 1793 to create the town of Hamilton. The Henry Kingsbury house, 52 High Street: This large house dates back to 1660. The builder Henry Kingsbury was the original owner of this house, but like many houses on this street it was occupied by the Lord family and at one time was owned by 3 different families. This very attractive First Period house was owned by Robert Lord, who helped draft the town’s first fire laws and personally inspected many town chimneys. The front is asymmetrical, and the west end is the older original section. It was once used as a private school. Mineral Street was called “dirty lane” in the 1600’s and crossed the wet area that later became Central Street to Gravel Street, which is now Washington Street. At the corner of Mineral and Central Streets is the Ephraim Harris House, a First Period home built in 1695. The original section of the house was moved from Market Street to this location by Ephraim Harris, a builder. Continuing on Mineral Street across Central Street is the old Wise Saddle Shop, circa 1801. The tour continues on High Street. The Ringe-Newman house, 44 High Street. The Anna Ringe and Elisha Newman house was built in 1780 and combines Second Period and Federal Period styling. Elisha Newman was a cabinet-maker. The home has been restored, preserving high ceilings, wide pine floors and five fireplaces. 42 High Street, the Holland-Ringe house was built in 1742. William Holland was wounded in the loss against the French at Cape Breton in Nova Scotia in 1745, and was brought home, where he died. The house was sold to Daniel Ringe, another veteran of the French and Indian Wars. He sold the house to his son John Ringe, an Ipswich cabinet-maker. His widow divided the property and gave the land for the adjoining Ringe-Newman house to her daughter Anna Ringe. The William Caldwell house, 40 High Street was built in 1733. Nathan Caldwell married the daughter of Elisha Newman and Anna Ringe, two doors down. Key features of the house include a large kitchen fireplace and exceptional period trim. The house was restored in the 1950’s, and is owned by the Rev. Rebecca Pugh of the First Church in Ipswich. The Joseph Bolles house, 30 High Street is an early 2nd period house, circa 1720. It has an asymmetrical 5 bay Georgian façade with secondary entrances through a Beverly jog into an extended east side. Joseph Bolles was a carpenter and the son-in-law of Nathaniel Lord. The Phillip Call house, 26 High Street is a 2-story timber frame First Period house built by cordwainer Philip Call about 1659. The evolution of this property is an example of adaptation of various periods of architecture over four generations. After it was purchased by the previous owners in 1967, its restoration uncovered an outstanding chamfered 17th century summer beam that defines the original 2 story house, first enlarged around 1725. Restoration also discovered 17th century paneling behind new walls. The William Russell house, 12 High Street: Job Harris built a house on this location in the 1760’s. It was moved to Warren St. by William Russell, who owned a dry goods store on Market Street, when he bought the property and built one of the few Queen Anne houses in Ipswich. The sitting room contains a fireplace decorated with sea serpents. According to tradition, this house had the first inside bathroom in Ipswich. The Joseph Ross house, 6 High St: The Whittier Porter Funeral Home, a Victorian home was built in 1890 by Joseph Ross (1822-1903). He was a contractor from Ipswich credited with designing and popularizing the horizontally folding railroad drawbridge. The Ross family in Ipswich is said to descend from Killicross Ross, a Scottish soldier captured at the battle of Dunbar by Oliver Cromwell’s army. days” and for their frenzied noisy demonstrations outside the meeting-house. The two were warned, fined and dealt with harshly. A 1656 law forbade any captain to land Quakers, and none were suffered to speak with them. The Capt. Richard Rogers house at 58 North Main Street was built in 1728. A fine Georgian central hallway with a closed string-course balustrade and two chimneys suggest high-style Georgian influence. The front room has original paneling and shell cupboards created by Abraham Knowlton, decorated with bolection molding and fluted pilasters. The Treadwell-Hale house at 52 North Main Street was built in 1799 by Joseph Hale on land previously owned by Nathaniel Treadwell. The building may have been used in the past as a general store but is now a single family home. The house has many details from the Georgian period of architecture, a rare single hip roof, and a “summer kitchen” fireplace in the basement as well as four other fireplaces. 50 North Main, the James Brown house, 1720. This 3/4 acre property had two houses and came to be owned by two families at the same until a petition to the town to divide the property was accepted. The long house on the property adjacent to the James Brown house was sold to Thomas Morley and to James Damon. Morley cut off his end of the house, turned it end to the street and made it into a separate dwelling at 48 North Main. Mr. Damon took down the remainder of the old dwelling and built the fine house at 46 North Main. Thus one lot became three, explaining why the houses sit close together. 49 North Main, the John Chapman house was built in 1770. John Chapman was a “leather breeches maker.” John Chapman married Ruth Giddings on September 13, 1773 and two days later sold the new house and land to Capt. Thomas Dodge, who sold it to Captain Ephraim Kendall in 1797. In 1822 Captain Kendall sold the house to Ebenezer and Daniel Russell. Throughout the rest of the 19th Century the house stayed in the Russell family. * The tour turns left on Summer Street and circles back to this point, or continue on N. Main Street. Summer Street is said to be the oldest adopted “way” in Ipswich. At 3 Summer Street is the Benjamin Kimball House was constructed about 1720, and was moved to this location in 1803. Gunstock posts in the first floor show that it was once a single story house. For 50 years this house was the home of Harold Bowen who wrote the series “Tales of Olde Ipswich” for the Ipswich newspaper. This house is protected by a preservation agreement between its owners and the Ipswich Historical Commission. The Widow Fuller house at 5 Summer Street was the home of the widow of Captain Fuller who died at sea in 1825 at 35 years of age, leaving her with two infant children, the younger of whom was born four days before his tragic death. Originally the house was one-room deep, with a cased frame. Stylistic evidence points to a construction date of c. 1725. The Thomas Treadwell house at 7 Summer Street was built in 1740. The Treadwell family in Ipswich dates back to settler Thomas Treadwell in 1635. The names Thomas and Nathaniel were also used in subsequent generations. The widow of Thomas Treadwell retained 1/3 of the rooms in the house and part of the land under the right of dower. After her death Samuel Stone purchased the balance of the house and land. Daniel Glazier House purchased the lot at 9 Summer Street in 1835 and built his house here by 1840. Many of the Glazier family went to sea, notably Captain Benjamin Glazier whose house we viewed on Water Street. At 10 Summer St is the Charles C. Cotton house built in 1838. The wide frieze board under the eave is indicative of the Greek Revival period while the front alignment and symmetry suggest the Colonial Cape style of architecture. Cotton conveyed the house to Foster Russell in 1841. The lots on this side of Summer Street were the back yards of houses on East Street until the 19th Century. The Nathaniel Hovey house at 11 Summer Street was built in 1718, and is a late First Period house. The uneven layout of the front suggests that it was originally built as a half house. The L on the left side is a modification of a Beverly Jog. The Hoveys were among the original settlers of Ipswich. Nathaniel Hovey Sr. was born in Ipswich in 1668 but lived only to the age of 28, about the time of the birth of his son Nathaniel Jr. in 1696. This property on Summer Street belonged to the younger Hovey. The Moses Harris house at 12 Summer Street dates to 1848 and is typical of the Greek Revival architectural era. Moses Harris married Emily A. Cotton, the daughter of Charles and Abigail (Jewett) Cotton at 10 Summer St., on Oct. 5, 1848. His grandfather, Captain Moses Harris served in the Continental Army and died on board a British prison ship in New York. The Harris family in Ipswich traces its roots to Thomas and Martha (Lake) Harris, who settled in Ipswich in 1644. Ezra W. Lord built the house at 14 Summer Street in 1850. The columned portico distinguish identifies the construction as Greek Revival. This side of Summer Street was originally gardens and orchards. The opposite side of the street is lined with Georgian homes of the previous century. Jonathan Pulcifer House, 15 Summer Street. This house was built in 1718. Original architectural features have been exposed by the owners, including beams and posts, summer beam, and gunstock posts. Jonathan Pulcifer was probably the grandson of Benjamin Pulsipher, an early settler of Ipswich. His son Jonathan Pulcifer Jr. was as a sailor in the French and Indian War. This house at 24 Summer Street was built in 1870. An innovation of the Greek Revival period was building homes with the narrower front gable end facing the street. The form made use of narrow lots and persisted into the 20th Century. In the 1910 map this house is shown belonging to William J. Barton. A couple of houses down on the left from the corner of County and Summer Streets is the 2nd period Abraham Knowlton house at 16 County Street, built between 1725 and 1750, and identical to the Dennis-Dodge house at the corner of Summer St. Captain Abraham Knowlton was the son of Thomas Knowlton, also a jointer and cabinetmaker. Abraham Knowlton in 1727 built the elaborate Rev. Nathaniel Rogers Mansion on High Street known as the “Old Manse,” and cabinetry in the Richard Rogers house on North Main St.
Across from the Abraham Knowlton house is the Rev. Levi Frisbie house at 15 County Street. The Rev. Frisbie, pastor of the First church purchased the property, took down an old house and built this house in 1788. The house remained in use as a parsonage for many years. Distinctly Federal in appearance, the house has been enlarged. 17 County Street, Hoyt’s Veneer Mill / Daniels Shoe Factory: Benjamin E. Hoyt had a mill for sawing veneers on the east end of the EBSCO dam. The building was removed by James Wellington to this location. It was used for many years as a shoe factory by Wellington and Daniels in the upper story, and by Wellington for a dwelling house. Near this lot was the home of Major General Daniel Denison, the town’s most important leader in the 17th Century. On the corner of County Street at 12 Green Street is one of the oldest homes in town, the Andrew Burley house built in 1688, with later Georgian features added. The structure served as Smith’s Tavern from 1760 to 1790. The deteriorating house is now barely viewable from the road due to overgrown shrubbery. The Town of Ipswich does not have a bylaw requiring maintenance of historic structures. At 2 Green Street is the John Perkins house an 1860 home, demonstrating the elaborate Italianate and Victorian era influences of the 19th Century. This corner was originally part of the large lot owned by General Daniel Denison in the 17th Century. Meetinghouse Green on Town Hill was the governmental center for early Ipswich. By order of the General Court, dwellings had to be within a half mile of the Meeting house. In just a dozen years after 12 men led by John Winthrop landed, 146 families made their homes in this vicinity. Meeting at or near the Green in 1687, the Rev. John Wise and selectmen were arrested and imprisoned for defying the levy of taxes by the government of Sir Edmund Andros. The Nathaniel R. Wait house at 33 North Main Street was built between 1859 and 1872. Wide roof rakes supported by corbels and dental molding indicate an Italianate influence. Wait was apparently a cobbler, having placed on exhibit at the Essex County Fair a pair of fishing boots judged excellent for their new pattern that had no seam inside which might hurt the foot. 31 North Main, the Methodist Church, was constructed in 1859. The Methodist Society was established in Ipswich in 1824 and built their first Meeting House at the present location of the Ipswich Inn. The steeple is eighteen feet wide at the base and over sixty feet tall, The upper section is a fiberglass reproduction of the original, which was damaged in the 1974 hurricane and hosts a cell tower. The Odd Fellows Building at 29 North Main Street was built in 1817 as a Probate Court and Registry. By 1884 a second floor had been added and it housed the Odd Fellows, Blake’s Drug Store and the Post Office. Court was held at the Green from early times under harsh Puritan law. The Town House and Court was located in front of the Methodist Church, where a sign commemorates the town’s resistance to taxation by the Andros government. The center section of the Public Library at 25 North Main was constructed in 1869. Professor Daniel Treadwell donated the lot to the town for a library with his family homestead on it. The library and the first books were a gift to the town from Augustine Heard. The wings on either side were added later. Augustine Heard and Company grew to become the largest American firm trading along the China Coast. In 1828 Heard co-founded the Ipswich Manufacturing Company. Built in 1832, the Old Meeting House at 12 Meeting House Green was deeded to the First Church in 1838 by George W. Heard and has served First church and the community of Ipswich as a chapel, meeting house and as the Girl Scout house. The historic building was recently restored. 8 Meetinghouse Green, the Rev. David Kimball house. The leaders of the Massachusetts Bay Colony located their second jail in Ipswich here in 1652. In 1808 the site was sold to Reverend David Tenny Kimball, and the old jail was removed. He was highly respected for his ministry and for his character. Kimball was a staunch abolitionist and met here with other activists, including Lyman Beecher, Daniel Webster, and the founders of the Ipswich Female Seminary, Zilpah Grant and Mary Lyon. 2 Meeting house Green, the Joseph N. Farley house ca 1842. The symmetrical 5-bay facade has a Greek Revival portico and door frame, horizontal flush boarding and clapboard. The son of Nathaniel Farley who owned a grist mill, Joseph Farley in 1827 built a new dam and the old stone mill for the manufacture of cotton cloth. By 1832 it had 3000 spindles and 60 looms. It spun No 30 to 32 yarn, used 80,000 lbs. of cotton, and made 450,000 yards of cloth a year. It employed on an average 18 males and 63 females. 45 North Main, Isaac Flitchner: This house sits on the location of the former Captain John Lord house. In 1825 Isaac Flitchner moved that house to Washington Street and built this Greek Revival house. This was the home of Justice Charles Augustus Sayward who tried the 18 defendants in the 1913 Ipswich Mills riot. The industrial reputation of Ipswich was vigorously defended by Judge Sayward. Greek girl Nicoletta Paudelopoulous was shot and killed in the riot. The building now houses Morris Funeral Home. 47 North Main, the George Farley House: In 1888 Theodore Cogswell tore down the ancient Dodge house, built in 1660, and built this large Victorian home for his daughter and her husband George Farley, owner of the Farley and Daniels shoe company. George and Joseph Farley on this street were descendants of settler Michael Farley. General Michael Farley, 4th generation, was representative from 1766 to 1774 to the Provincial Congress. *Reverse direction on the other side of North Main Street. near the church to Depot Square, where it became known as the “Damon Block.” This 2 1/2 story wood frame house has a balanced 5 bay facade with Italianate window hoods, entry porch, quoins, bracketed and decorated cornice. Harry K. Dodge bought the 44 North Main Street homestead of the widow Margaret S. Kendall in 1886. He tore down the old house and erected this Victorian home. 42 North Main: John A. Johnson was a shoemaker who built this fine house in 1871. It has Italianate window surrounds and bracketed cornices. The 10 room house has 4 bedrooms and 2 formal living rooms with ceiling medallions, a butler’s pantry, 2 kitchens and 4 artisan-crafted marble fireplaces. The Johnson shoe store was down the hill on Market Street. 40 North Main, The Captain James Brewer house was built in 1825 across from Meetinghouse Green. It may have once served as a general store and now is residential. war. He survived, returned to Ipswich and was shot and killed in his first year as a Boston police officer. 36 North Main: Dr. John Manning built this Federal style house in 1765. He encountered great resistance from town people when he pioneered the development of a smallpox vaccine. When he drove his chaise to Boston to bring his sister-in-law back to the safety of Ipswich on the day of the Battle of Bunker Hill, he was allowed to enter Boston by first agreeing to treat British casualties of the battle. After returning to Ipswich with his sister-in-law, he spent that evening collecting medical supplies from Ipswich residents and then returned to treat casualties from both sides for seven weeks. Doctor Manning also built an unsuccessful wind-driven woolen mill on the site of the present Caldwell Block. 34 North Main: William Pulcifer a dry goods storekeeper built this Federal-era house / storefront in 1836. It is the only brick residence in the Meetinghouse Green historic District. 22 North Main the Agawam House: Nathaniel Treadwell built the second Treadwell Inn here in 1806 and kept his tavern until 1818, after which Moses Treadwell continued the business. For over one hundred years it was the town’s first-class hotel. President Monroe was a guest; Daniel Webster often stayed there while in town for sessions of the local court. In the late 1800′s it was modernized with a mansard roof and other Victorian embellishments and renamed the Agawam house. The hotel closed in the 1920′s and is now an apartment housing. The Colonial Building at 22 North Main Street was built in 1904 as a commercial attempt by the Feoffees of the Little Neck Trust. One floor of the building was rented by the School Board in 1907 to accommodate the 9th grade. It has been an apartment building for several decades. First Congregational Church. When the Winthrop group of thirteen settlers came to Ipswich, “upon ascending the hill above the river they found an outcropping ledge of goodly extent, forming a sort of natural platform, and upon this rock they built their church.” This is the fifth church on this spot. The previous historic Gothic Revival church was hit by lightning in 1965, burned and had to be torn down. This green has always been the religious and governmental heart of Ipswich. A meeting-house was built here by 1636. The original church was surrounded by a high wall to protect them from the ever-present danger of Indian attacks. Nearby were the stocks and whipping post. The Devil’s Footprint: In front of the church imprinted into the rocks is the hoof print of the devil, which in 1740 was chased up the church steeple by the Reverend Whitefield during the “Great Awakening.” They wrestled like maniacs, pushed and shoved each other back and forth until they were face to face at the pinnacle of the steeple, with the horrified congregation watching below. Whitefield uttered forth with his commanding voice accompanied with a mighty push. The devil was hurled to the rocks below, scrambled down the hill in terrified leaps and bounds, never to return. 21 North Main, the Theodore Cogswell house was built in 1880 in the popular 2nd Empire style, indicated by the Mansard roof. Cogswell was a grocer as well as clerk and treasurer of the Ipswich Savings Bank. He also built the Victorian “painted lady” on North Main Street for his daughter after demolishing a First Period home on that site. 19 North Main the Thomas Manning house was built in 1799 by John Heard for his daughter and her husband Dr. Thomas Manning, who built the Willowdale Mill and co-established the lace factory on High Street. He bequeathed the greater part of his estate to the town for the purpose of building the Manning School on the site of the current Winthrop School. In 1858 this house became a parsonage for First Church. The house was a stop on the underground railroad, and escaped slaves were hidden in a secret room in the cellar. This house is protected by a preservation agreement between the owners and the Ipswich Historical Commission. The Civil War Monument in the middle of this small triangular green was dedicated in 1871. 375 Ipswich soldiers served in the war, and inscribed on the monument are the names of the 54 who died. 18 North Main, the Charles Kimball house was built in 1834. Kimball attained honor as a colonel of the militia, a distinguished probate lawyer, and deacon of the Church. He was one of the original trustees of the Ipswich Female Seminary. The house shares a subdued Greek Revival style with the Stephen Coburn house next door. It is remembered as the home of the Manning School master. 16 North Main the Stephen Coburn house, was built in 1845 by postmaster Stephen Coburn. After the death of his widow it became the Lucy B. Coburn Home for the Elderly, a benevolent institution. In 1997 the house received an honorable mention for the Mary Conley Historic Preservation award. 12 North Main, Treadwell’s Inn. In 1737, Captain Nathaniel Treadwell opened an inn in this building. John Adams visited Ipswich frequently during the 1770’s in his capacity as a lawyer and always stayed at Captain Nathaniel Treadwell’s inn. The house was formerly labeled the Christian Wainwright house, which once stood in the small lot just below, and was moved to the corner of Market and Saltonstall Streets, but was later demolished. 8 North Main, the Ebenezer Stanwood house was built in 1747. Ebenezer Stanwood was a peruke – maker (the wigs worn by 17th century gentlemen). The house has been restored and expanded as a multi-family residence. In the 17th Century this was the approximate location of a well-known tavern operated by John Sparks. The John Appleton house, 2 North Main Street. Colonel John Appleton was the grandson of settler Samuel Appleton and built this First Period house in 1707. He was a leader in the “Andros Rebellion” for which Colonel Appleton and Major Samuel Appleton among others were jailed in Boston. In the 1960’s, the Appleton house was purchased by Exxon so they could build a gas station on the site. 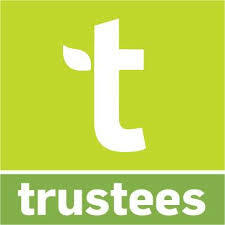 The Ipswich Heritage Trust was formed and after intensive efforts saved the house, laying the ground for future covenants and establishment of the Ipswich Historical Commission. The Christian Science Church was built in 1932 and sits near the site of the former Ipswich Female Seminary, which was established in April 1828 by Zilpah Grant and 24-year-old Mary Lyon for the secondary and college-level education of young women and operated until 1876. Girls were prepared for careers as teachers and provided with rigorous studies in academic subjects and “standards of personal conduct and discipline.” It was the first endowed Seminary for women and the first to give diplomas to its graduates. A monument dedicated to the unknown dead who served during the Civil War was erected in the small green that splits North Main Street at Marketplace Square by General James Appleton and the Women’s Relief Corps in 1897 as a tribute of gratitude to those union soldiers and sailors whose last resting place is unknown. In 1733 John Stacey, being infirm, petitioned the Town “that there is a convenience on the northerly side of the Rock for setting a house upon” for selling cakes and ale etc. for his livelihood. The house he built was later moved to Market Street where it still stands. Market Street was originally a residential section of town on the path that crossed a foot bridge over the river at the location of the dam. and then turned to go up Meetinghouse Hill. Devastating fires at the Central Street and Depot Square ends of the Market Street in 1894 were the incentive for developing a town water system and construction of the brick buildings in those locations today. The photo shows Market Street in the 1800’s. Some of the historic houses still stand. The Tyler Block was built in 1906, several years after a fire ravaged all of the commercial buildings from Market Street to Hammatt Street. It was originally the home of Tyler’s Department Store but is remembered fondly as Quint’s Drug Store in the second half of the 20th Century. Ms. Wait and Ms. Russell. 20 Market St, the Stacey-Ross house was built in 1734, and houses the law offices of Ross and Ross. The Stacey-Ross house is unique as a surviving early eighteenth-century building that was moved from the lower green at Market Square to this location 100 years after its construction, and still survives in its “new” home almost 175 years after its move. The house was owned by Abigail Ross Kimball and her husband Eben Kimball in the second half of the 19th century. The large Victorian Bailey House at 48 Market Street was built in 1901. The Shingle Style was the last of the elaborate Victorian architectural forms, and signaled the beginning of a return to traditional American practicality. Windows had no classical pediments and the Gingerbread cornice woodwork of earlier Victorian styles is absent. Towers and turrets blend into the roofline of the house rather than being strictly defined. The Caldwell Building is the oldest large commercial building on Market Street. In 1792 Dr. John Manning erected a factory at this location to manufacture blankets. On the roof squatted a great octagonal horizontal windmill to power the machinery. The business quickly proved unprofitable and was converted to shops. When the old building burned in 1869, it was quickly replaced by the Caldwell Block. The Choate Bridge is the oldest double stone arch bridge in America, built in 1764, designed and supervised by Colonel John Choate. A popular tale is that his horse was tethered nearby so that if the bridge collapsed when the wooden arches were removed he might mount and ride out of town, certainly untrue. Col. Choate was one of the Judges of the General Sessions Court. After his death, the Court ordered that “Choate Bridge ” be engraved on the corner-stone. The bridge was widened in 1838 and underwent restoration in 1989.
purchased in 1702 by Col. Samuel Appleton, the eldest son of Major Samuel Appleton, who expanded the building on the southeast side. The Dr. Joseph Manning house is at 31 South Main Street. Timothy Souther built a small home here in 1726, after initially being “warned out” when he arrived with limited resources. The old Souther house stayed in the family for years, but was torn down shortly before 1917. Dr. Joseph Manning’s fine old home across from the Old Town Hall on South Main Street was moved to this location so that the town’s first automotive dealerships could be built. Those buildings are still standing. The former Baker’s Clothing Store at 37 South Main Street was constructed in 1828. The other Baker’s Store building next to the Choate Bridge burned after the Mother’s Day storm of 2006. This building now houses Fiske and Freeman Fine and Early Antiques. Fiske is editor-in-chief of the New England Antiques Journal and chairman of the Ipswich Historical Commission. The Old Town Hall at 30 South Main Street was built in 1833 to be the home of the Unitarians. They weren’t successful in maintaining their membership, and sold this the first Greek Revival building in Ipswich to the town in 1843 for use as a town hall. In 1866, a piece of land on the south side of the lot was purchased, the Town Hall was moved to the center of the lot and remodeled. The lower floor was raised to a second-story level and a new first floor was built. The building has been converted to use as condominiums. The Hall Haskell house, 20 South Main Street is the Ipswich Visitor Center. Charles Hall, a mariner bought the land in 1800. It was used as a store below, residence above, and sold to Mary Haskell in 1825. The roof was later changed from hip to gable, and the property became part of the Heard estate. In the 1980′s the house was in bad condition and came close to being demolished by the town. It was saved due to the efforts of Vivian Endicott, Paul McGinley and other local citizens who raised funds and restored the house. The Visitor Center is open throughout the summer months.